Words that can be read backwards and give the same word as reading it forward is called a Palindrome. 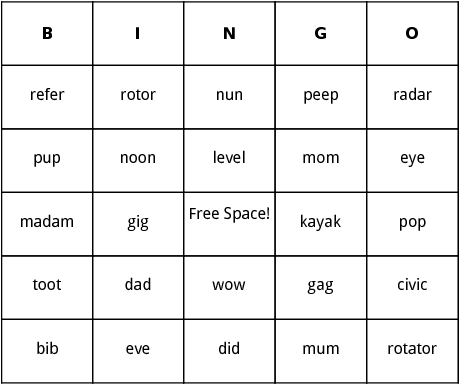 We compiled a list of these words, which includes words like eve, nun, peep, mom, rotor, and level. View the entire list below, and if you have any suggestions, contact us.